This year home improvement projects will no longer involve expensive custom finishes or average looking wall paper. Walltat is offering an easy solution with removable vinyl wall stickers that are thin enough to cut with scissors if there is a particular look you are aiming for, or area that has a tricky angle. There are over 500 designs that include new collections for 2009, such as wall decals of Faces, wall decals for Kids on Safari and Car Decals. Even the old collections have been updated with new decals, there are so many cool decals it's almost hard to decide on just one. Most of these wall tattoos can be paired with another to create a collage look. To maximize a larger wall, the use of two decals can be applied to create an asymmetric look. 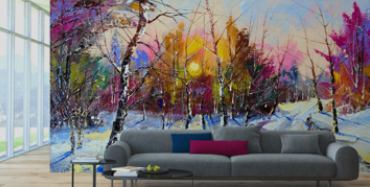 There are endless possibilities when using Walltat "art without boundaries." Sky is the limit.